Nigeria's Super Eagles and their attires land on Vogue Magazine fashion section. Let’s hear it for the Nigerian soccer team: the “Super Eagles’’ World Cup jersey is the most popular in the world right now. Nike’s Nigerian “Naija” kit, which sells for $90 a pop, has broken records, as fans have already pre-ordered 3 million of the green and white, zig-zag–printed jerseys. The team has proven to have some off-duty swagger, as well. 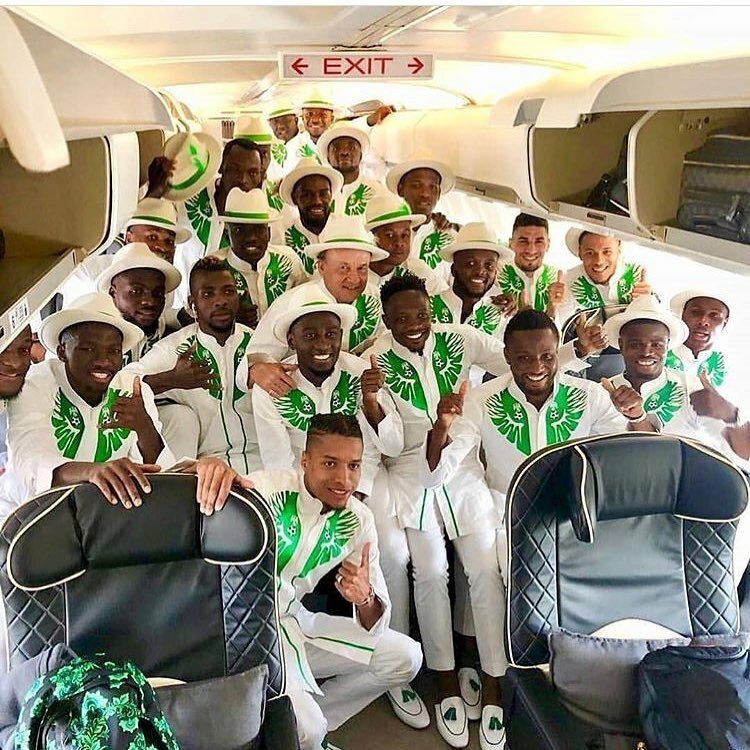 Today, they uploaded an image of themselves on a plane en route to Russia looking dapper in optic white tunics with a green soccer ball print at the collar. And instead of their usual swishy shorts? They wore tailored white trousers. The uniform is fine the world agrees. But we need that cup!